It’s estimated that only a sixth of the original coral reef that covered the Caribbean waters is still alive today, according to a recent report released by the Global Coral Reef Monitoring Network (GCRMN), the International Union for Conservation of Nature (IUCN) and the United Nations Environment Programme (UNEP). If no major interference occurs, most of the coral in the Caribbean might disappear in the next 20 years. There are some good news, too. The damage done so far can be reversed, if certain steps are made. Titled “Status and Trends of Caribbean Coral Reefs: 1970-2012” (full PDF), the report is the result of three years worth of painstaking work that involved over 90 experts who studied more than 35,000 surveys conducted at 90 Caribbean locations since 1970, including studies of corals, seaweeds, grazing sea urchins and fish. Numerous insights that were missed until now have surfaced. 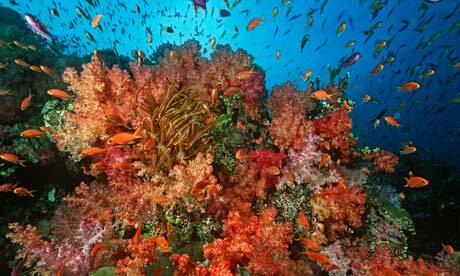 For instance, we now know the Caribbean corals have declined by more than 50% since the 1970s. There are a lot of voices who claim that this immense rate of degradation is mostly due to climate change. Most of the greenhouse gases released by human activity into the atmosphere eventually wind up into the world’s oceans, which act like huge heat sinks. This causes the waters to acidify and the corals to bleach. The report’s findings suggest that its not climate changer per se that is driving most of the coral fallout, rather an ecosystem destabilization. Namely, the loss of parrotfish and sea urchin – the area’s two main grazers – has, in fact, been the key driver of coral decline in the region. These two species are paramount if coral colonies are to thrive, as they feed on algae, clearing the ground so the reef doesn’t get smothered by the algae. But . An unidentified disease led to a mass mortality of the sea urchin in 1983, while extreme fishing throughout the 20th century has brought the parrotfish population to the brink of extinction. Protecting these species from overfishing, as well as pollution, tourism or coastal development will greatly improve reef quality and colony numbers. The report also shows that some of the healthiest Caribbean coral reefs are those that harbour vigorous populations of grazing parrotfish. 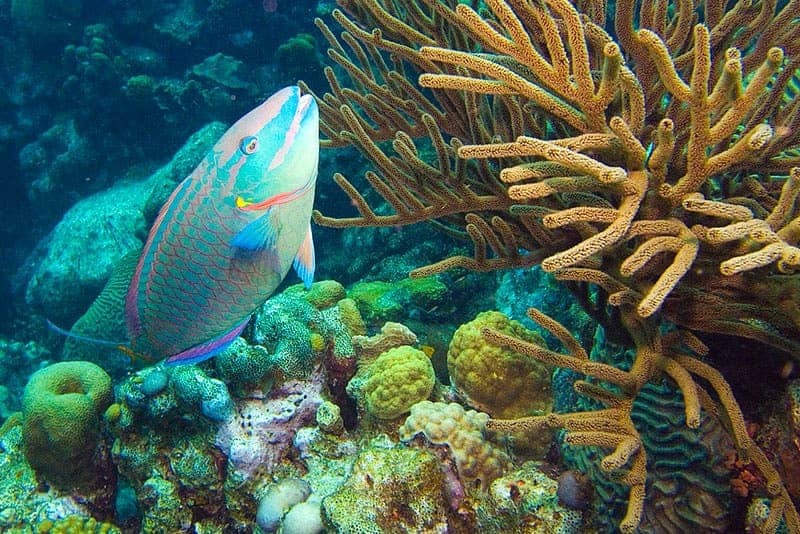 These include the Flower Garden Banks National Marine Sanctuary in the northern Gulf of Mexico, Bermuda and Bonaire, all of which have restricted or banned fishing practices that harm parrotfish, such as fish traps and spearfishing. Other countries are following suit. On the down side, reef that haven’t been protected suffered tragic declines, including Jamaica, the entire Florida Reef Tract from Miami to Key West, and the U.S. Virgin Islands.